Nami Island best known for Winter Sonata. I still remember my first trip there solely due to Winter Sonata influenced. And once I asking myself either this small island can still be in tourism map after years to come and when the generation who never know about Winter Sonata taking over. But I guess i found my answer as the island is still there welcoming many tourists for other reason than Winter Sonata only. And peoples behind the existing of the island is the answers. Nami Island or Namisum is located 3.8 km from Gapyeong County, but belongs to Chuncheon in Gangwon-do. It is 430,000 square meters in area and approximately 4 km in diameter. In 1965, Min Byungdo (former South Korea Governor) purchased and started to reforest the island. 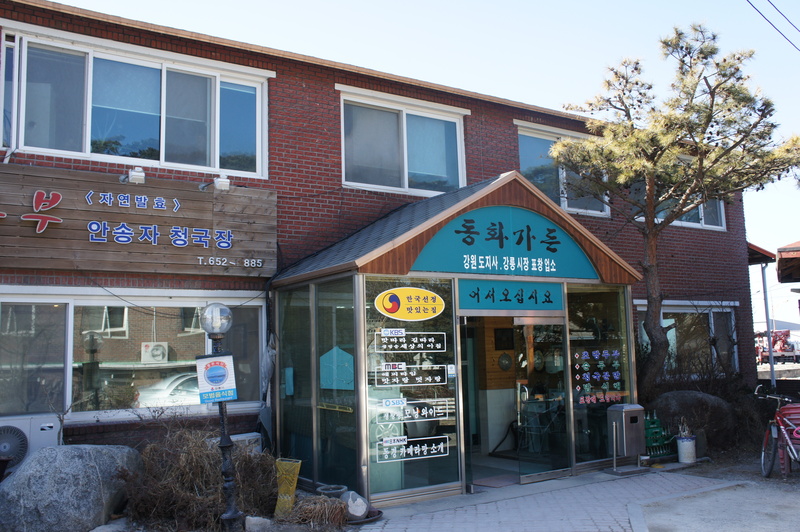 In 1966, he founded Gyeongchun Tourism Development Inc. and developed it into a resort town. He changed the firm name to Namisum Inc. in 2000. In 2001, the new CEO Mr Kang Woo-hyon which used to be graphic designer and an environmentalist and civil activist turned Nami Island as Naminara republic and what we see in Nami Island now. 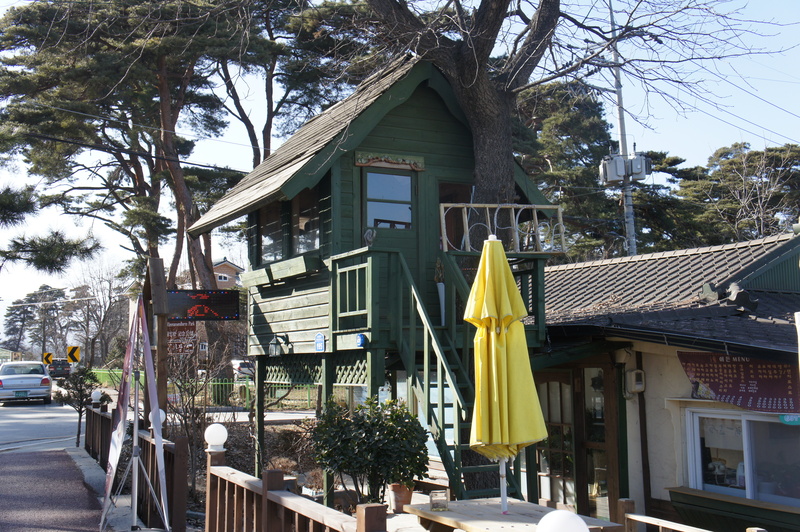 In Nami Island, you can experience nature, culture, arts, literature and entertainment. You can find books at every corner of the island where you can read and return back. Every year a big summer festival will held here. Arts gallery and museum is everywhere and of course the breathtaking view of Metasequoia Lane. As Nami Island been described by his CEO ” Naminara Republic is a fairytale nation of the imagination where our hopes and dreams can become reality”. I’m sharing my memories with whomever yet to reach there. I experienced winter 3 times so far but i never encounter the a to z falling snow yet till my last visit early this year. i’ve been there for about 2 weeks but only left over snow which turned dirty and slippery was everywhere. 2 -3 days earlier, every TV station already announced that South Korea will experience heavy snow today. I left yeouido area with Miss Han to check my bus to Joam when suddenly snowflakes starting to fall… heavier and heavier till everything is now covered with fresh snow. As promised, an entry for seaside train. the main attraction here!! 🙂 The train is a special train making a trip along the seaside at Gangneung. It’s a special train modified to have a the seats facing the outside unlike normal train. The window is bigger to allow a better view. The round trip take around 1 hour and 20 minutes and you can stop at any station and hop on again to continue your trip. I decided to make a round trip and off at Jeongdongjin Station on my way back. To set foot at Jeongdonjin Station means that you are at the most nearest train station to sea in the world!!! and it was a location for several koreans drama such as Beethoven virus. The view, Subhanallah. i had lunch at the station and took my lazy walk at the beach and bracing the windy and cold winter. Now, i know how to upload slideshow..yehaaaa….please find the pictures taken during Seaside Train ride and at Jeondonjin Station. ok..my late lunch .. i need to blog this as this is one of Gangneung attraction ..you have to try Gangneung dubu (bean curd) .. dedicated village called Chodang Dubu Village is where you can eat the famous dubu dish….i just asked the taxi driver to bring me there and on his recommendation he dropped me infront of a restaurant which has lots of banner stated that SBS, KBS, MBC (Major tv broadcasting) already cover their restaurant … hheheh ..you never go wrong if you choose a restaurant like this… 🙂 (my personal opinion)…but i’m the one who made a mistake by ordering something that i never tasted it before (i’m an adventures person) ..hahahah …but at least i learned that i should not order the same dubu dish ever again!!! it’s was a set of dubu dish .. plain dubu dish, salty, etc… which i can’t help but trying my best to taste all but i give up … i should stick to sundubu jigae instead or dubu with kimchi. 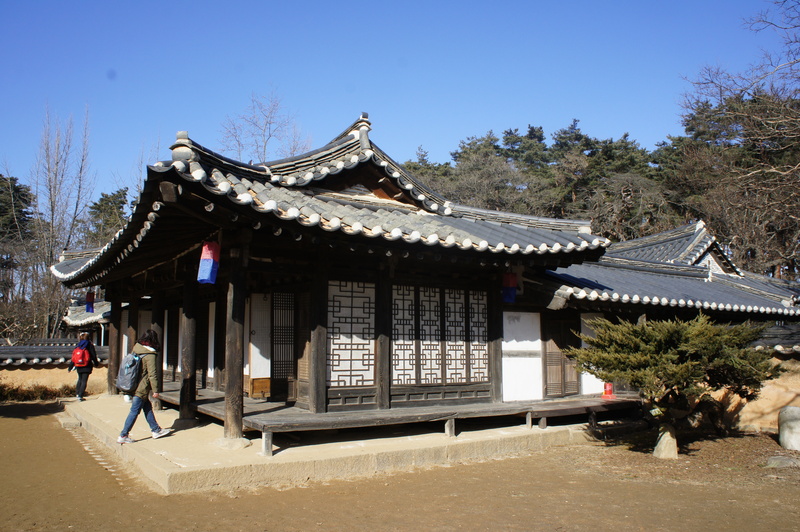 From the village i walked to house of Hae Gyun which supposed to be nearby. But i lost!! i met a young couple who happen to have the same intention as mine. and 3 of us on foot searching for the house. the couple came from Daegu and spent their first trip as a couple at Gangneung. The boyfriend giggle and the girlfriend smile shyly while explaining it to me. hahaha… i forgot how love can be that innocent and beautiful… Ok, i should stop. We managed to find the house finally and made a tour for about 10 – 15 minutes. Hae Gyun is well known for his novel Hong Gil Dong aka Robin Hood. He wrote it back at 15 century. Now i wonder, on what basis he wrote the novel? Maybe each country has their own version of “Robin Hood” or he heard it from the business traveller and wrote it. And which one is the original? 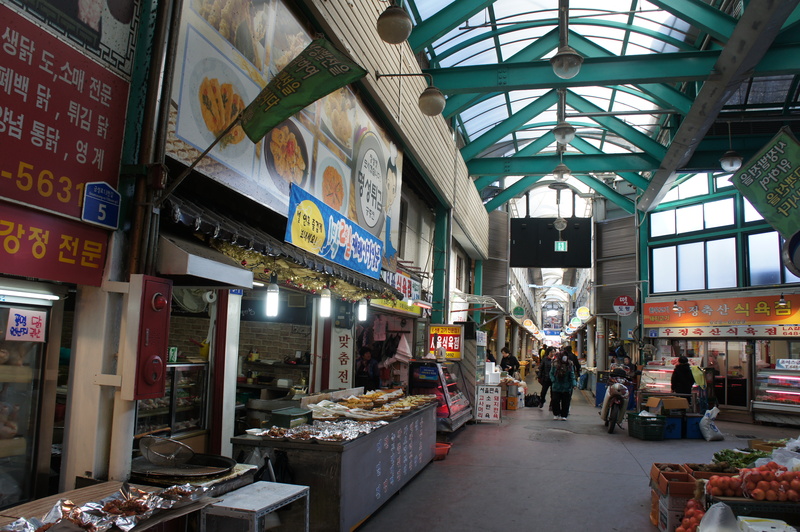 I bid goodbye to the couple and heading to the city of Gangneung for my another favourite place, market!!! 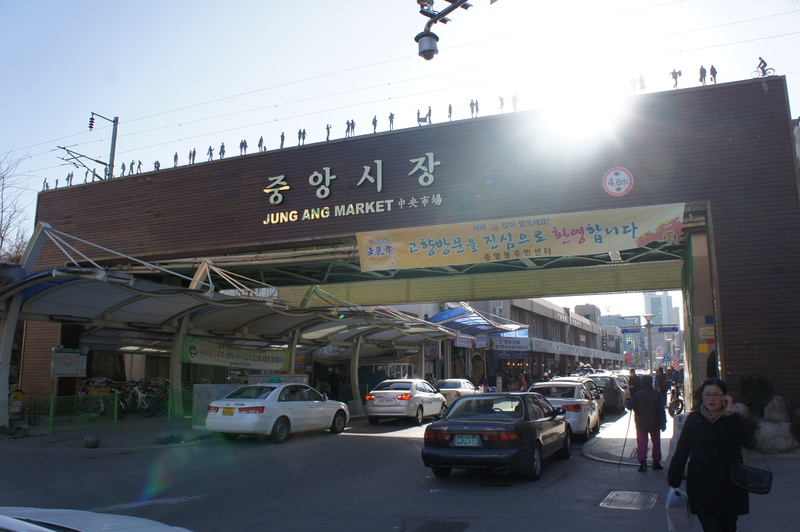 Jung Ang market located in the middle of Gangneung town. I love to be in a market coz simply it shows the real people activity, need, color of each place. And the best food, view always come from here. I come across with a unique ritual where a group of people wearing a traditional costume and play traditional instrument visit each shop in the market. I guess it’s a ritual to pray for the prosperous of the business. From the market, i crossed the main road for my 3rd cup of coffee for the day. A hello from a young lady who is curious of my nationality… oh, she is majoring in english at her university and i felt forever since my last conversation last this long at Gangneung.. 🙂 .. i ended my long day with dinner i bought at shopping mall, watching 2days 1night at my motel room and tomorrow another day at Gangneung will come.